A Spruce Grove pastor who oversees two Christian private schools has accused Alberta’s education minister of wielding “dictatorial power” on the issue of LGBTQ rights, and says his board has no intention of complying with the government’s new policy. Pastor Brian Coldwell, chair of the Independent Baptist Christian Education Society, says LGBTQ policy requirements don't respect religious and parental rights. 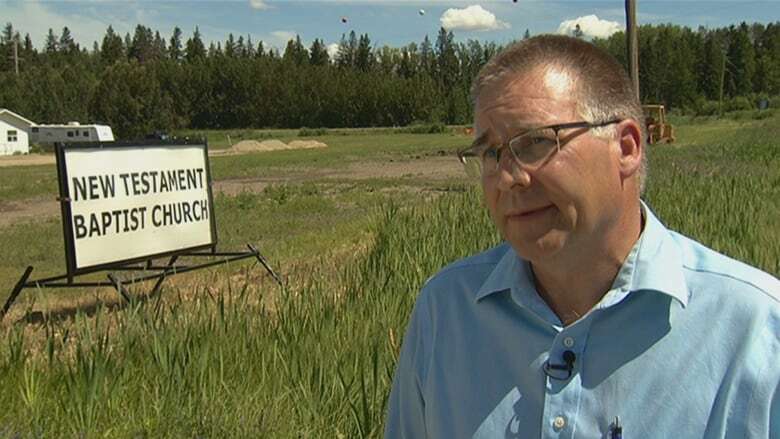 A Spruce Grove pastor who oversees two Christian private schools has accused Alberta's education minister of wielding "dictatorial power" on the issue of LGBTQ rights, and says his board has no intention of complying with the government's new policy. "I have a duty as a pastor to protect the flock of God," said pastor Brian Coldwell, chair of the Independent Baptist Christian Education Society, which runs two schools in rural Parkland County with a total of 200 students. "And there is no way under heaven I'm going to allow gay activists to come in here and basically undermine our ministries and our religious freedoms or confuse and corrupt our children." Earlier this year, Education Minister David Eggen instructed boards to submit LGBTQ draft policies by the end of March. Some boards resisted, and in the case of the Edmonton Catholic School Board, Eggen appointed a consultant to help shape its new transgender policy. "I'm not going to allow the minister of education to appoint anyone to come in here — he does not have that dictatorial power," said Coldwell, whose board receives between 60 and 70 per cent of its instructional funding from the province. Two weeks ago, Eggen followed up his instructions to boards when he posted an open letter to Alberta students, telling them "you have rights that your schools will respect." "You have the right to create a gay-straight alliance or a queer-straight alliance, and you have the right to name your clubs this way," Eggen wrote. "You have the right to use the washroom that is consistent with your gender identity." He provided an email to contact his staff "who can help you ensure your rights are being respected." Coldwell said students who don't agree with his board's conservative Christian values could attend other schools. "We're not saying that the gay community doesn't have any rights," he said. "But they just don't have the right to come in here and push their agenda, or what you might call the rainbow ideology. "There's a big difference between protecting students and the promotion of a lifestyle." Coldwell said his boards' two schools, Meadows Baptist Academy and Harvest Baptist Academy, have a zero tolerance for bullying but LGBTQ issues rarely arise. He said if a student came looking for help they would use the gospel and Christian counseling. "There's many people that have been delivered from that type of lifestyle through the power of the gospel," said Coldwell. In a statement, Eggen said his ministry would begin working closely with private school authorities on their policies. "All schools are required to follow the law," he said. But he did not address CBC's question of whether non-compliant boards would face consequences. Coldwell criticized the government, saying it has never properly consulted with religious school boards. He said he knows of at least a dozen other boards that feel the same way and he thinks "there's multitudes of other parents and other churches that will stand up." He said the legislation should be amended to also protect the rights of parents and religious institutions, exempting their schools from GSAs that promote "the anti-Christian gay lifestyle."